“It was the first moment I was reminded of the refugee camps where I grew up,” said Peejay, looking into the audience. Borey Ai, also known as Peejay, has faced violence and discrimination from an early age. Fleeing war-torn Cambodia during the Vietnam War, the Ai family escaped to America as refugees. Upon their arrival in Stockton, California, however, Peejay struggled — as many Southeast Asian refugees did — in the face of racism, xenophobia, and local hate crimes. At the age of 14, Peejay was sentenced to 25 years in prison for second-degree murder. Immediately after his release, Peejay arrested by Immigration and Customs Enforcement (ICE) and deportation proceedings were started against him. 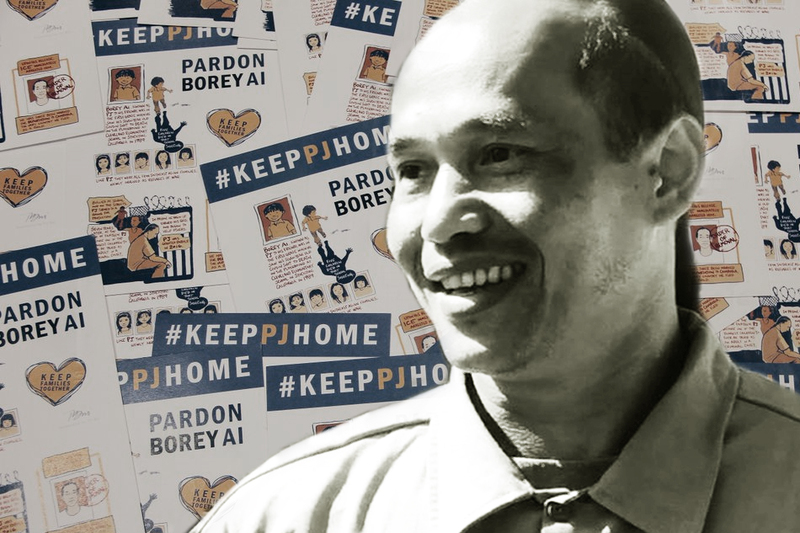 Now, Peejay faces the threat of deportation to a country he doesn’t know, even as Peejay is hoping his story will bring new awareness to the school-to-prison-to-deportation pipeline. With initiatives led by Nathaniel Tan and the Asian Prisoners Support Committee, the #BringPJHome and #KeepPJHome movements were born.